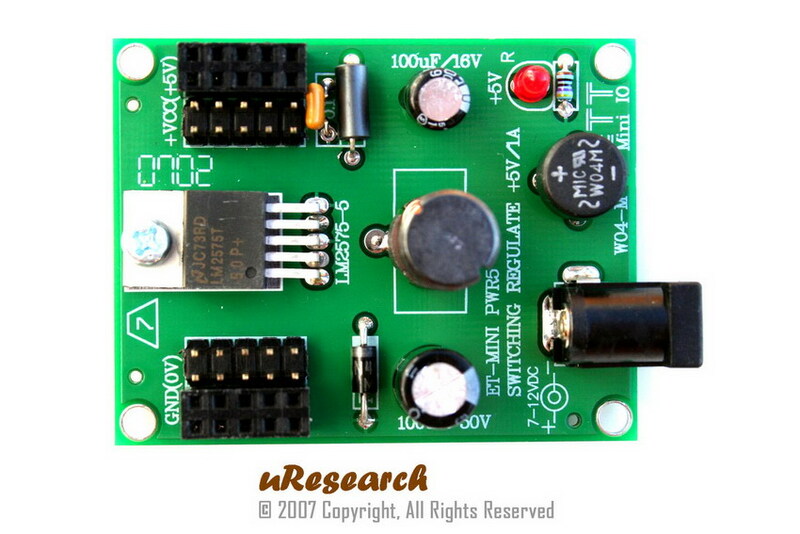 MR-PWR5 is a +5VDC switching power supply board. There are no external components required. This makes it perfect for embedded systems that need +5V supply. The board features innovations that set it apart from other supply board. Innovations feature like thermal shutdown, current limit protection and power-on LED. 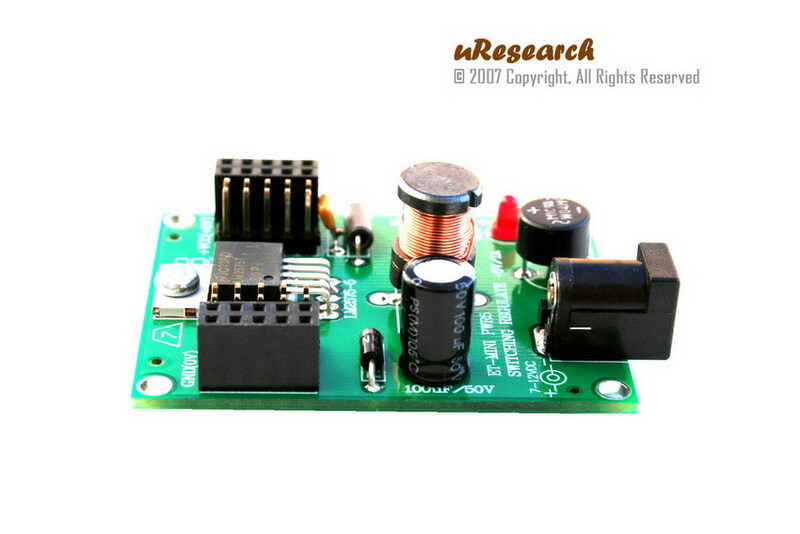 The module can be easy to interface via male or female headers. +7 to +12VDC wall adapter can be use as an input via 2.5mm power jack. 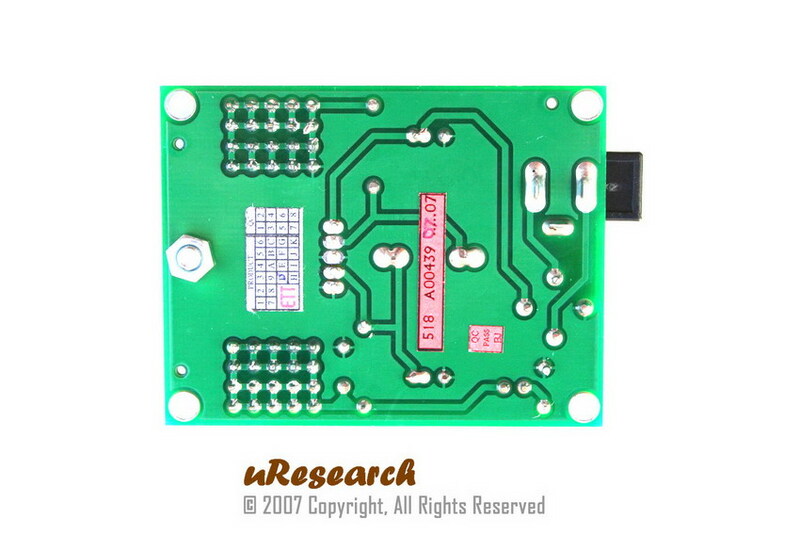 The board is small can compact in size 2.20 x 1.70 inches. 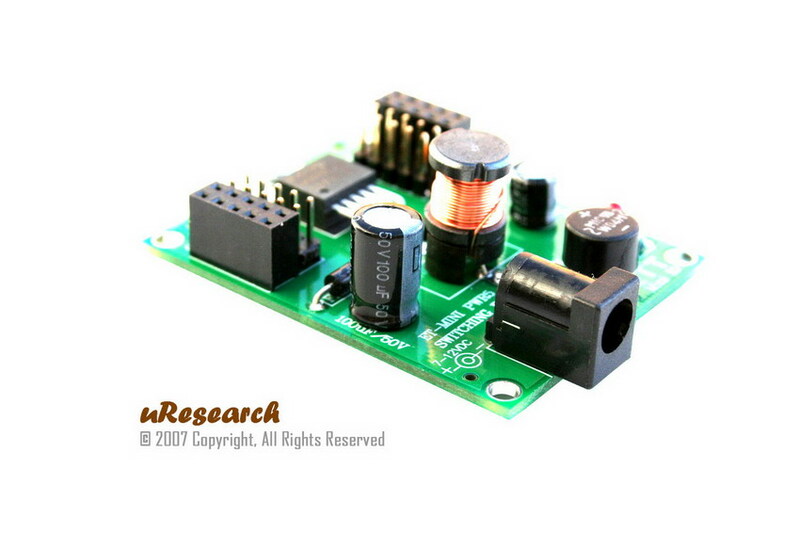 The MR-MINI-PWR5 is designed base on LM2575-5 IC. 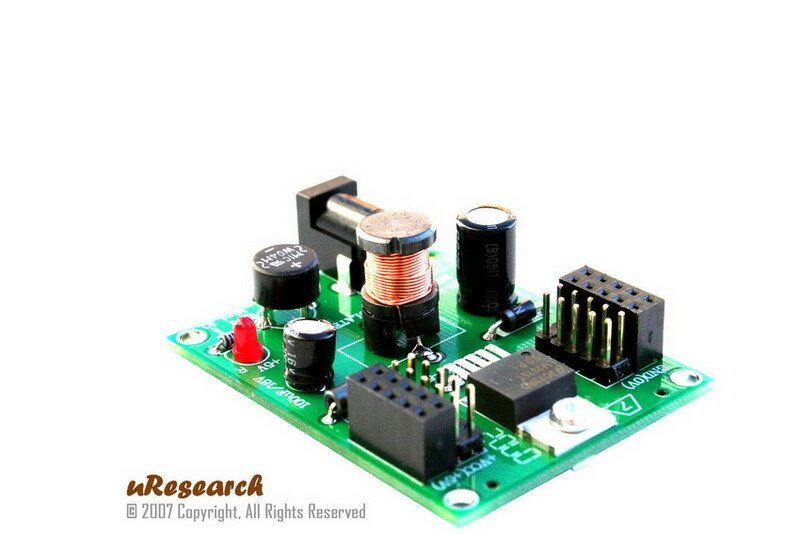 It is monolithic integrated circuits that provide all the active functions for a step-down (buck) switching regulator, capable of driving a 1A load with excellent line and load regulation. The LM2575 series offers a high-efficiency replacement for popular three-terminal linear regulators. It substantially reduces the size of the heat sink, and in many cases no heat sink is required. Other features include a guaranteed +/-4% tolerance on output voltage within specified input voltages and output load conditions, and +/-10% on the oscillator frequency. External shutdown is included, featuring 50 ìA (typical) standby current. The output switch includes cycle-by-cycle current limiting, as well as thermal shutdown for full protection under fault conditions.